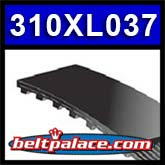 310XL037 SynchroLink (PowerGrip) Timing Belt: 3/8" Wide - 31" Length - 155 Teeth. 310XL037 TIMING BELT. 155 TEETH. 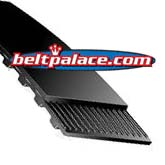 31" L.
Replaces: SyncrhoStar 310Xl-037, Jason 310XL037, Goodyear 310XL037, GATES 310 XL 037, MBL 310XL-037 belt.